The Indian higher education system is the second largest in the world in terms of number of institutions and enrollments. In spite of this achievement and progress during the past couple of years, the educational institutions are facing several challenges. The key challenges include lack of high quality research and shortage of faculty leading to sub-standard outcomes like poor rate of employability skills of the students. According to industry reports (NASSCOM, CII and FICCI), only 25% of technical graduates are considered employable. It is important to focus on improving the quality of faculty and enabling research environment at the institutions. The challenge before our nation is to create and sustain an education system that is responsive to the new and dynamic environment of economic revolution. With a lot of government initiatives being proposed in the Twelfth Five-Year Plan, the institutions of higher education are undergoing a period of change and transformation. In view of huge participation of private players, there is increased competition among the institutions. Challenge is to transform Indian higher education to a global size and quality. Indian higher education should aim to produce graduates equipped to support the robust growth of the Indian knowledge economy through higher private sector participation in large world class university investments in India. The focus of Shri Vaishnav Vidyapeeth Vishwavidyalaya shall be on creating conducive environment for bringing together faculty and other stakeholders to work jointly groom the students. 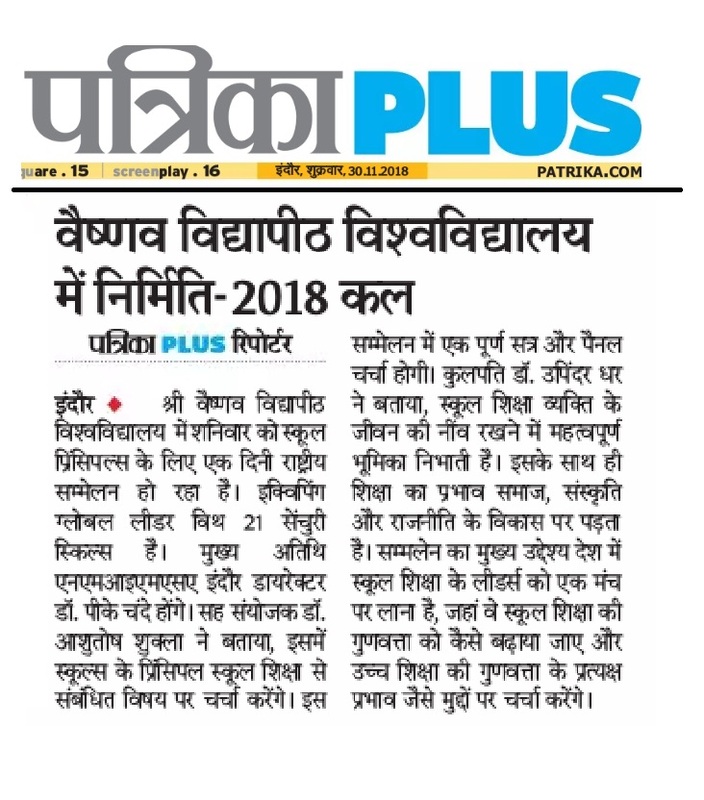 Shri Vaishnav Vidyapeeth Vishwavidyalaya shall offer great opportunity for creativity with right ambience for value-based quality education in various professional and traditional disciplines. The Vishwavidyalaya shall provide excellent teaching-learning resources and the right kind of co-curricular and extra-curricular activities for developing the leaders of tomorrow. We are committed to all-round development of the students. Thus, with an industry-relevant curriculum and a strong academia–industry interface, the Vishwavidyalaya shall provide an appropriate platform to the budding professionals for entering the corporate world and contribute towards development of the nation. I am happy to invite you to be a part of the journey towards excellence. 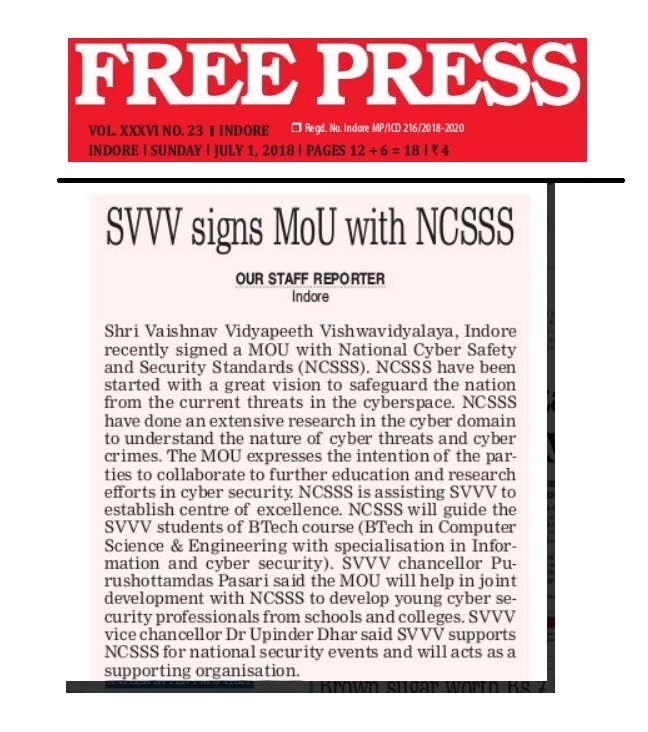 Dr. Upinder Dhar is Vice Chancellor of Shri Vaishnav Vidyapeeth Vishwavidyalaya (Indore). Earlier, he was Group Additional Vice Chancellor and Pro-Vice Chancellor Academics, Amity University Uttar Pradesh (Noida); Founder Vice Chancellor of JK Lakshmipat University (Jaipur); Director - Institute of Management, Dean - Faculty of Management, and Dean - Faculty of Doctoral Studies and Research, Nirma University (Ahmedabad); Director - Prestige Institute of Management and Research (Indore); President - Prestige Group of Educational Institutions (Indore); and Professor of Management at NITIE (Mumbai). He has conducted management and faculty development programs for the executives of major business houses and faculty members of academic institutions respectively. He has also been Guest Faculty for the MDPs at IIM Calcutta and IIM Indore. Besides undertaking consultancy assignments, he has authored/co-authored more than 560 publications. Twenty-nine scholars have been awarded Ph.D. degree under his supervision by various universities. .
Dr. Dhar was awarded National Fellowship by Indian Society for Training and Development in 2002-03. He has been on the Panel of Reviewers of number of journals, such as International Journal of Training and Development, Human Resources International, Journal of Global Business and Technology, and South Asian Journal of Management. He has also been on the Panel of Experts maintained by the NBA (Bangalore); ICSSR (New Delhi); and SAQS (Hyderabad). He has been President of Anthropological and Behavioural Sciences Section of the Indian Science Congress Association (2007-08), Indian Society for Training and Development (2008-09) and Association of Indian Management Schools (2014-15). He has also been Member of the Council of Management of AIMA, Member of ATMA, All India Board of Management Studies of AICTE, Rajasthan State Productivity Council and Governing Board of DELNET. Areas of Interest : Organizational Behaviour, Human Resource Management & Development, Organizational Development, Consumer Behaviour, Entrepreneurship, Mental Health, General Management, Institution Building. 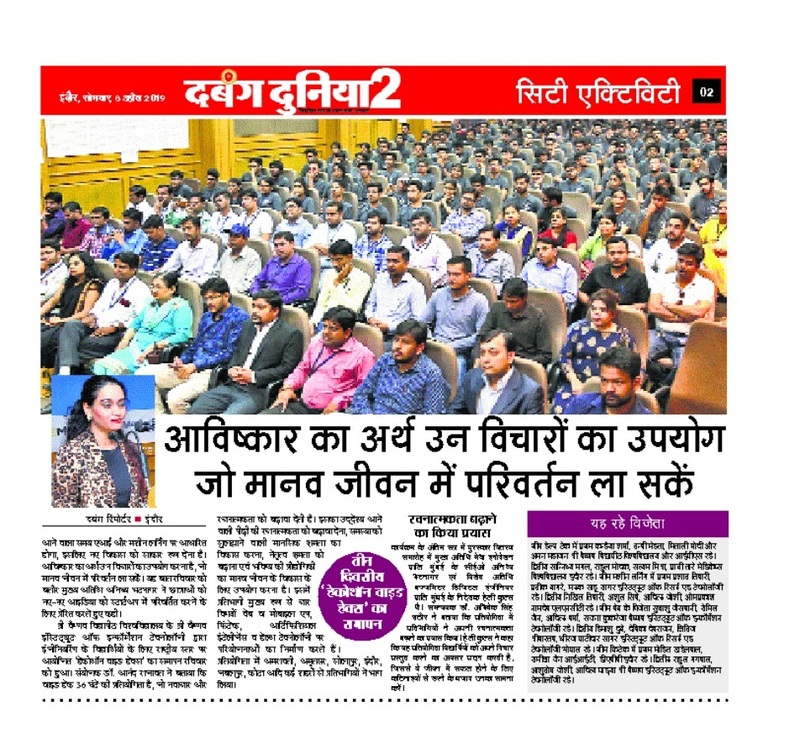 Director, Prestige Institute of Management and Research, Indore. Also as President, Prestige Group of Educational Institutions, Indore (The Group was constituted of four Institutions: Prestige Institute of Management and Research, Indore; Prestige Institute of Management, Dewas; Prestige Institute of Management, Gwalior and Prestige Public School, Indore). Professor, NITIE (Bombay) – An Institution established by United Nations in 1963; Reader, Institute of Management Studies, D.A. University (Indore); Lecturer, Department of Psychology, M. D. University (Rohtak); Research Associate, Indian Institute of Public Administration (New Delhi); Research Associate, Shri Ram Centre for Industrial Relations and Human Resources (New Delhi); Research Assistant, National Labour Institute (New Delhi). Organisational Behaviour, Human Resource Development, Organisation Development, Human Resource Management, Consumer Behaviour, Entrepreneurship, Mental Health, General Management. Grasim Industries Ltd., Nagda and Jodhpur ; Hindalco Industries Limited, Renusagar; Hindustan Motors, Pithampur; JK Corp Limited, Sirohi Road; J K Tyre, Gwalior; Nicholas Piramal India Limited, Pithampur; Nuchem Plastics; Atomic Energy Commission; Naval Dockyard, Bombay; Mahindra & Mahindra, Bombay; Oil & Natural Gas Commission, Panvel; Rashtriya Chemicals & Fertilizers Ltd., Bombay; Steel Authority of India Limited; South Eastern Coalfields Limited; Usha Martin Industries Limited, Ranchi; Ucal Fuel Systems Ltd., Tamil Nadu. 43 National Case Writing Workshops and several Research Methodology Workshops conducted for the faculty of B-Schools in the country, besides having been Resource Person for many Refresher and Orientation Programs for the Faculty of University Teaching Departments and Colleges at National Level. Pondicherry University (Development of Reading Material for Postgraduate programs); Aegis School of Telecommunication (Development of Curriculum and Detailed Syllabus for Master's Program in Telecommunication Management – MPTM). Postgraduate Teaching, Corporate Training, Faculty Development, Consultancy and Research - 37 years. Over 560 Publications, which include authored/edited Books, HRD Instruments, Chapters in Books, Monographs, Research Project Reports, Management Cases, and Research Papers published in refereed academic and professional Journals of National and International repute. Pro Vice Chancellor (Academics), AMITY. Leadership Development Centre (New Delhi). Life Member of Indian Society for Training and Development; Indian Science Congress Association; All India Management Association; Indian Psychological Association; Psycho-Linguistic Association of India; Praachi Psycho-Cultural Research Association ; National HRD Network and Indian Society for Technical Education. Served these Bodies in various capacities. First Chairman of the Editorial Board of AIMS Journal of Management. Nominated as a Member of International Jury for the First, Second and Third ISB-IVEY Case Competition in 2010, 2011 and 2012 respectively. ISB Hyderabad & AIMS jointly organized an Annual National Case Competition for the Professors of B-schools in association with Richard Ivey School of Business as Knowledge Partner and CIMA (Chartered Institute of Management Accountants) as sponsor. Peer Reviewer / Subject Expert for the Accreditation of B-Schools in South Asia including India. Conferred National Fellowship by the Indian Society for Training and Development in 2002-2003. Receipient of number of scholarships / fellowships including Commonwealth Fellowship. Cited in Indo-American Who's Who, Trainers and Training Institutions Directory of ISTD, and Indo-Asean Who's Who. Self Awareness and Interpersonal Relations, Creative Problem Solving, Transactional Analysis, Rational Emotive Therapy, Management of Stress, Time Management, Job Attitudes for Better Performance. Leadership for Excellence, Communication Skills, Team Building, Effective Decision Making, Managing Change, Management of Conflicts, Group Dynamics, Motivating Subordinates, Management by Objectives, Delegation for Effective Management, Organisational Excellence, Principles of Effective Management. Human Resource Development, Performance and Potential Appraisal, Employee Counselling, Dynamics of Workers'Participation, Quality of Work Life, Role Playing as a Training Method, Grievance Redressal Practice, Recruitment and Selection, Organisation Development, Career Planning and Development.